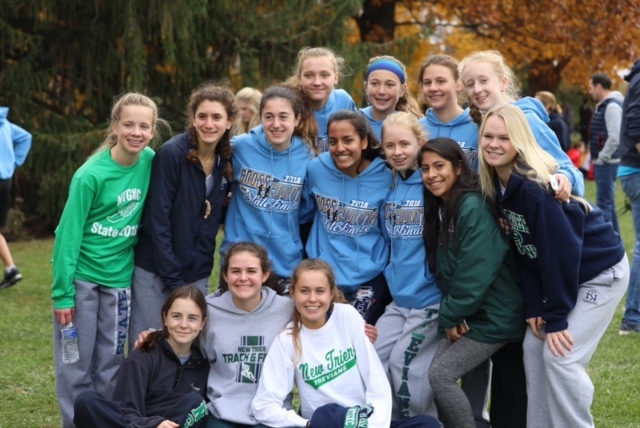 On Nov. 3, Girls Cross Country placed seventh in the state meet. Although the entire team qualified for state, the entries were limited to just the top seven runners. After taking the win in conference, regionals and sectionals, it was clear that state was the next goal for all the girls and they would come in with quite a winning streak. The team had 14 state qualifiers and seven state runners, all of whom ran the three mile race (Girls 3A race for NT’s division). With a solid handful of runners going into state, the season leading up to this was a success. Over the season, the training for the girls stayed consistent. “Our training is designed to prepare us over the entire season and we begin training over the summer,” stated Wolff. While the training usually remains at the same intensity level, it was altered for the girls going into state. 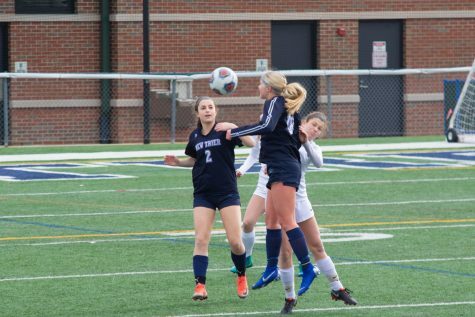 “The two major things we did to prepare for state were taking the team workouts down in intensity and following personal routines that we had throughout the season,” said Junior Marlee Fradkin. Making sure the runners maintain a consistent sleep and eating cycle ensures that a specific routine is followed by each runner. “I think the biggest thing we did was we stuck with our normal schedules and we had practiced super hard all season so we knew the workouts would help us at state,” said Sophomore Emma Braband. Junior Bridget Forbes, who finished 40th individually, emphasized that the girls tried not to change anything about their routine. Running individually in a state meet comes with a lot of stress. Each runner has their own way of de-stressing before the gun shoots. This can even mean coming together as a group to calm down a little. “Before a big race we all get nervous but we repeatedly discuss our plan and remind each other of our capabilities,” said Wolff. Individually though, Braband always listens to music. “I always think about all of the fun things I’m going to do after a race,” said Fradkin. Going into their races, each runner had their own goals to achieve. “I achieved my personal best time at the state meet this year. I ran a 18:24 for the three mile race,” said Wolff. For the cross country team, this was their last race all together, and with that comes some reflection of their season as a whole. The bond the team carried throughout the season made it possible for the girls to push themselves and their teammates to the state finish line. “From training and competing together we are all very close. I will miss the family atmosphere of practices and the support from my coaches,” said Wolff. The seventh place title shows a lot about each runner and the abilities the team had and will continue to have in upcoming years. 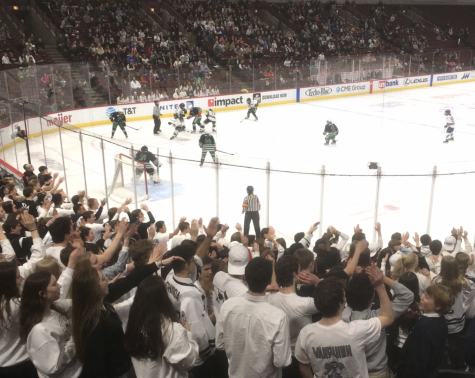 “The team was truly amazing throughout our entire season,” stated Braband.